|By Arabian Post Staff| Dubai residential prices further slipped by 2.6 percent during the third quarter, taking the average residential values down 7.4% during the past twelve months, reports real estate consultants Cluttons. The rate of decline is, however, expected to slow heading into 2017 before reaching a new base towards the end of next year, it forecasts. Cluttons’ Dubai Winter 2016/2017 Property Market Outlook report highlights that values slipped by a further 2.6% during the third quarter, leaving them 26.7% below the last market high in Q3 2008. With values expected to stabilise towards the end of 2017, key triggers to slow the decline are likely to continue emerging in the form of infrastructure projects linked to the World Expo in 2020 and other mega projects. These will help to sustain, or lift, public sentiment, which has proved instrumental in keeping the emirate’s economic growth profile the most positive in the region. Murray Strang, head of Cluttons Dubai said: “Although our view of 2017 indicates positive signs to reverse the market’s fortunes, we are closely monitoring the level of residential supply coming to the market. With 34,000 units announced this year, it’s clear that project announcements are continuing at an unrestrained pace, despite what could be perceived to be challenging trading conditions. Cluttons reports that despite some submarkets heading towards bottoming out, transaction volumes are still weak and reflect the general nervousness around commitments to purchase, while the wider issue of affordability remains a stubborn thorn in the market’s side. Quarterly transaction volumes slipped by 21% during Q3, led by a 22% fall in apartment deal volumes, which are down 26% when compared to Q3 in 2015. The average price of a transacted villa has also fallen by 28.1% since the start of the year to stand at AED 3.9 million. Faisal Durrani, head of research at Cluttons said: “The villa market has continued to soften during the third quarter with values receding by 2.6% following a contraction of 2.5% in Q2, and taking the annualised rate of change to -7.8%. However, this figure conceals the villa market’s varied performance during the third quarter, as average prices contracted mainly due to the weak performance of the luxury segment of the market. 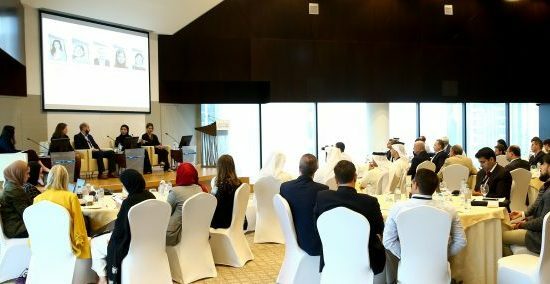 Cluttons’ report shows that values over the last twelve months at high end locations such as Hattan Villas at The Lakes and The Palm Jumeirah receded by 11.9% and 11.1% respectively, while more affordable communities such as The Green Community and Jumeirah Village registered no change in values in Q3. Mid-range homes in locations such as Emirates Living, Arabian Ranches, and Victory Heights recorded a negligible 0.1% increase in prices. In the rental market, Cluttons report shows that after a sharp 4.4% fall in average rents across the city’s freehold areas in Q2, which was the strongest decrease recorded in five years, the rate of decline moderated to -1.5% in Q3. The latest change leaves average rents 8% down on this time last year. Positively however, apartment rents were unchanged in Q3 across all the submarkets we monitor, hinting perhaps that this segment of the market may be starting to flatten out. On an annualised basis, villa rents are down by 9.4%, while apartment rents are 5.8% lower than this time last year. Similar to the sales market, the top end of the villa market in locations such as the Palm Jumeirah, Jumeirah Islands, and The Lakes have experienced the strongest rental drops over the last 12 months. In the office market, the ongoing stability across the city is expected to persist. The lack of supply in the most sought after submarkets such as DIFC, Internet City and Media City, coupled with a relatively buoyant domestic economy has resulted in rents being sustained, as Cluttons expected. While Dubai’s office market has demonstrated a far greater degree of resilience compared to other regional locations in the face of a slowing global economy, the level of requirements in the market is down on this time last year. The consolidation activity in the finance and banking sector, in addition to the smaller oil and gas sector, which commenced about 18 months ago, is now winding down. The pharmaceutical, legal and technology sectors on the other hand, are amongst the most active occupier groups in the market and expansion activity continues from these tenants. Durrani noted that despite the somewhat flat conditions, Dubai’s office market has been the most resilient in the region, which stems from its appeal amongst international occupiers and the strong belief in the domestic economy’s ability to shake off any fringe impacts of an uncertain global outlook. This is reflected in the fact that occupiers such as Huawei and MasterCard are pressing ahead with purpose built schemes in sought after office hotspots such as Dubai Internet City. Cluttons has noted several instances of international corporate companies across multiple sectors delaying expansion plans until 2017/18 and opting to extend existing leases in the short term. This ‘wait and see’ attitude amongst the international corporates stems from concerns around the world economy, rather than domestic economic conditions, which remain relatively robust. During the third quarter, rents across all of the 22 office submarkets we monitor registered no change, while average prime office rents across Dubai still stand about 50% down on the Q3 2008 peak. 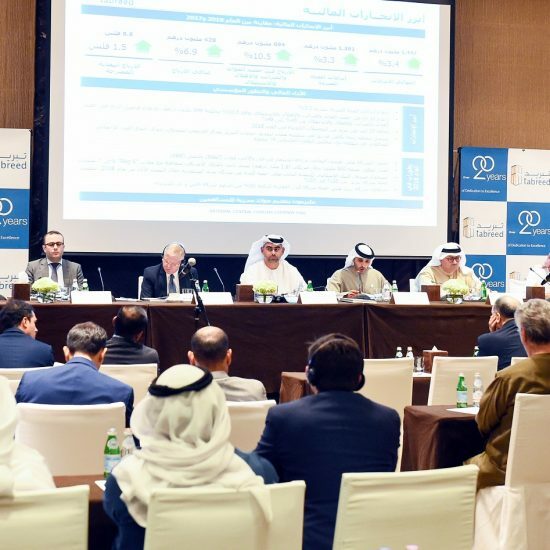 Looking ahead to the next six to twelve months, upper limit rents in key submarkets such as the DIFC or TECOM are likely to edge up by 3% to 5%, but elsewhere in the city, rents are expected to remain firm as we work our way through the challenging global conditions, Cluttons said.